We had a very eventful Thursday morning this week. 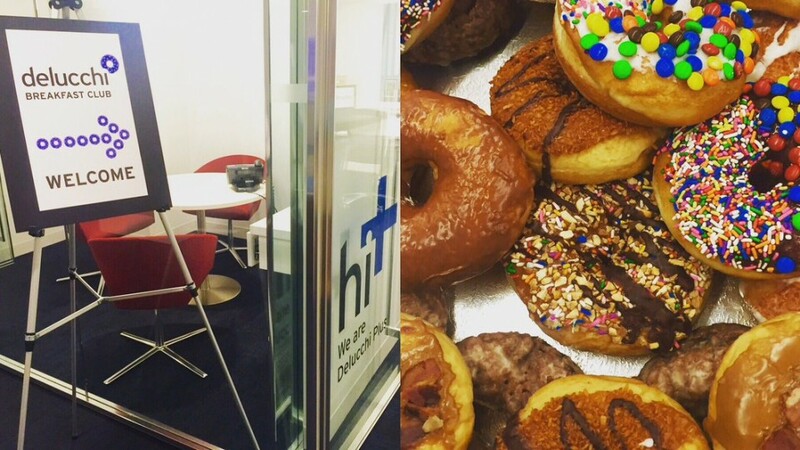 At 8:30, we kicked off our second Delucchi Breakfast Club, a regular get-together where our marketing experts connect with clients, industry leaders and friends over the latest, most relevant digital trends — and donuts. This time around, the breakfast spread was impressive (yogurt parfaits, anyone?) and the topic at hand was user-generated and user-curated content — specifically, how it can be used to impact a brand. Backed by a colorful presentation (with Homer Simpson visuals) our speakers walked through the rise of the personal brand and platforms for expressing it, the importance of knowing an audience’s perception of a business’s brand, how to amplify brand missions and messages through influencers, and much, much more. Thanks to everyone who stopped by our office! Check back next quarter for our next installment.